The U.S. Postal Service reported another quarterly loss on Friday after an unrelenting drop in mail volume and costs of its health care and pension obligations outweighed strong gains in package deliveries. Amid sharp criticism from President Donald Trump that it is being scammed out of billions by online retailers such as Amazon.com, the Postal Service called for greater freedom to raise stamp prices to help cover costs. It warned of a serious financial situation that prevented it from making much-needed investments in letter and package delivery, saying it could not wait for a task force created by Trump to study the reasons behind its losses at a time of increased competition in the e-commerce age. That task force, which was established by an executive order signed by Trump last month, will have 120 days to submit a report with recommendations. The Postal Service has requested that the Postal Regulatory Commission grant it power to raise stamp prices beyond the rate of inflation, a change to its pricing system that would be the biggest in nearly a half century. 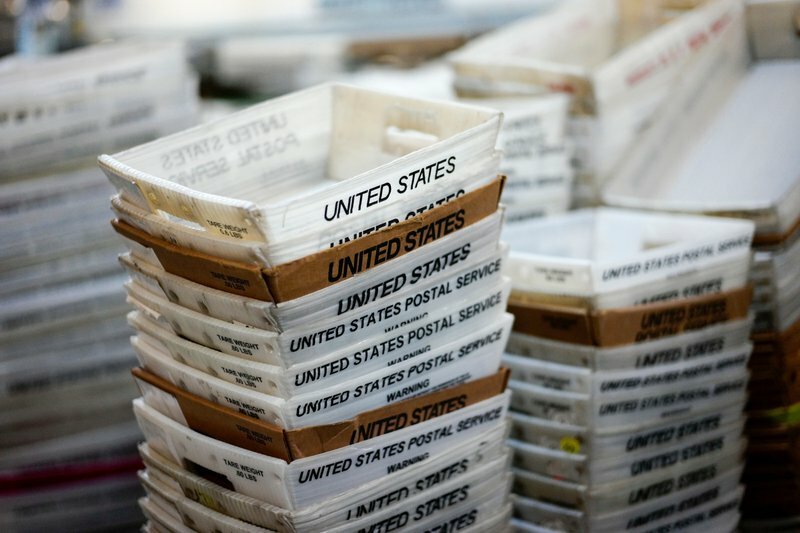 “Congress and the commission need to act now,” said Postmaster General and CEO Megan J. Brennan. The Postal Service’s report shows a net loss of $1.3 billion between January and March, larger than a $562 million loss in the same period last year, due in part to rising fuel costs and added wage expenses as it grows its package business. uffered a loss in first-class letters and marketing mail, which together make up more than two-thirds of postal revenue. Quarterly revenue came to $17.5 billion, up slightly over the same period in the previous year. Trump in recent months has railed against Amazon, accusing it of not paying enough in shipping costs. He says the Postal Service “loses a fortune” and should charge more for delivering packages, including on Sundays, which Amazon has a competitive advantage in providing goods to people’s homes thanks to a contract with the Postal Service in which its vast network of mail carriers is used for special deliveries. Trump’s executive order said the Postal Service is on “an unsustainable financial path and must be restructured to prevent a taxpayer-funded bailout.” The task force established by Trump is being assigned to study factors including the Postal Service’s pricing in the package delivery market. Package delivery has been a bright spot for the Postal Service. Helped by booming e-commerce, it has enjoyed mostly double-digit increases in revenue from delivering packages, though that hasn’t been enough to offset declines in first-class letters and marketing mail. To become financially stable, the Postal Service is urging Congress to provide it relief from a mandate to prefund retiree health and pension benefits, something that neither the government nor private companies are required to do. The prefunding requirement, put in place by Congress beginning in 2007, has contributed to 11 straight years of financial losses. It has defaulted on the multibillion-dollar prepayments each year since 2012. The Postal Service is an independent agency and does not use taxpayer money for its operations.